Holy Week is the week of preparation before our most holy day of celebration for the year, Easter. On Good Friday, we know that Jesus was cruelly tortured and crucified for the forgiveness of our sins. This year, we want to give you the opportunity to prepare your heart for Easter in a very special way. Stations of the Cross is a self-directed experience where you can drop in any time between 11am and 1pm or 4pm and 7pm. When you first enter the facility, you will receive instructions to move between several stations. You will have many opportunities to remember, savor, be active, and be silent at whatever pace you would like to pass through the stations. Come alone or bring your family or friends. 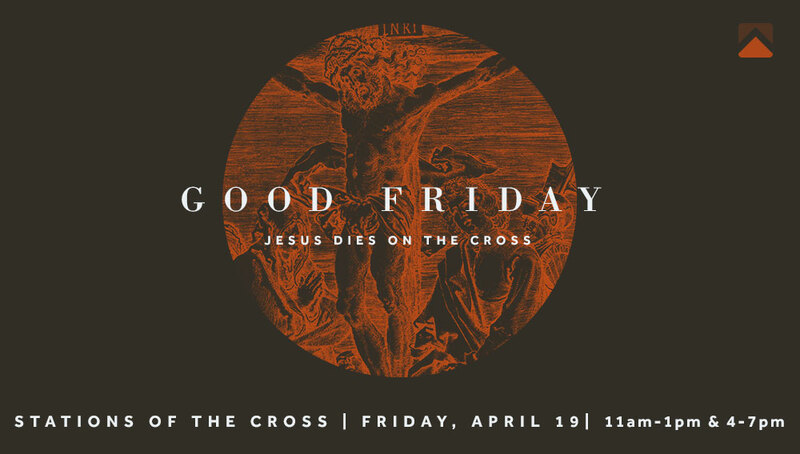 It is intended to be a deeply moving time of personal worship as you remember the great sacrifice of Good Friday and the great love that inspired it.